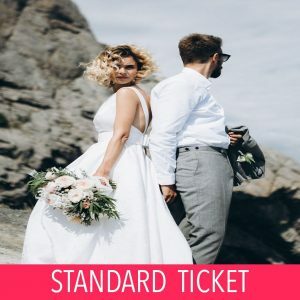 The Big Welsh Wedding Show 2019 At Depot, Cardiff! 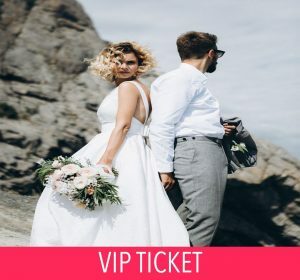 With over 60 of Wales’ top wedding suppliers specialising in everything from exquisite flowers to stunning photography, The Big Welsh Wedding Show is the ultimate destination for shopping, inspiration and wedding planning in 2019. A days visit to The Big Welsh Wedding Show will save you months of planning stress whilst leaving you with oodles of fabulous ideas and inspiration for your big day! Please Note: Paypal no longer accept guest checkouts. In order to purchase tickets via paypal, you will need to set up a paypal account by simply entering an email and address and password at the checkout. Alternatively, you can contact us directly to pay over the phone or you can pay on the door on the day. With over 60 of Wales’ top wedding suppliers specialising in everything from exquisite flowers to stunning photography, The Big Welsh Wedding Show is the ultimate destination for shopping, inspiration and wedding planning in 2018. All payments are handled securely using PayPal. You can pay using your PayPal account or with Credit/Debit Card. © 2017 The Big Welsh Wedding Show.